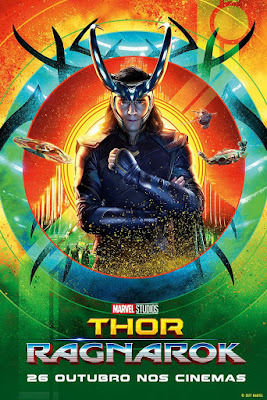 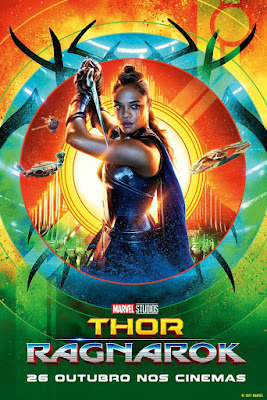 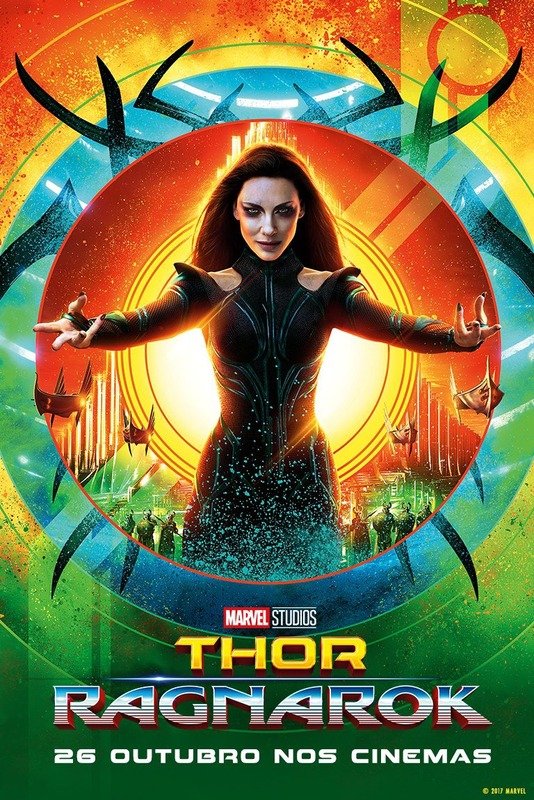 We’re just a few days away from the US premiere of Thor: Ragnarok in theaters, and the awesome movie posters from Disney/Marvel Films just keep on coming. 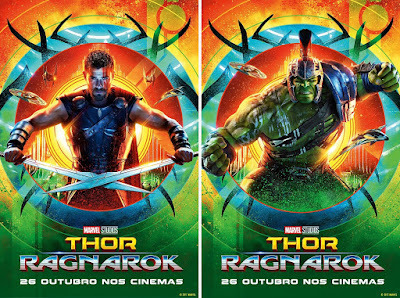 Check out this killer new set of Thor: Ragnarok character movie posters released just this week. 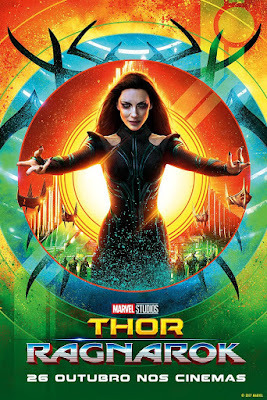 I love the background of these one sheet posters, which appear to feature Hela’s signature headdress emerging from behind each super hero and villain. What a cool way to incorporate Jack Kirby’s iconic design for the character!